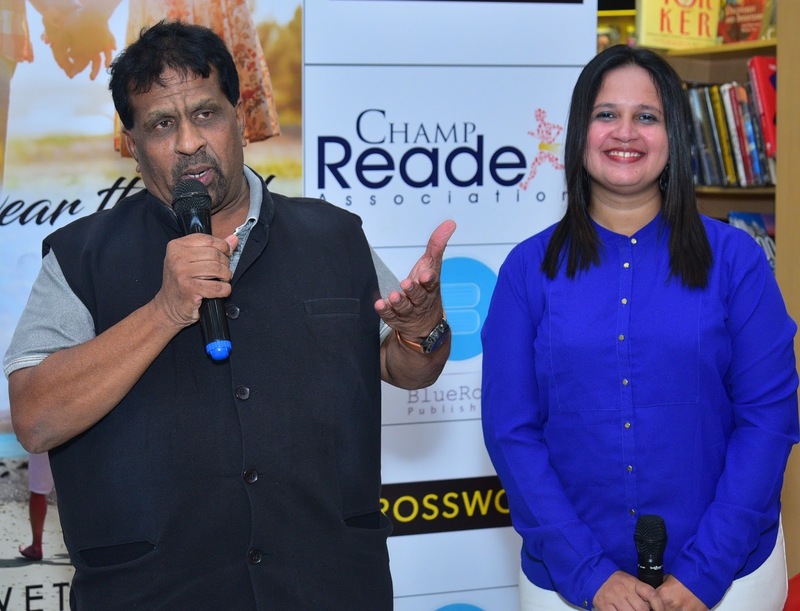 Pune, October 2017: Shweta Shah, an IT professional from Pune recently launched her debut novel “I Wear the Smile You Gave” at Crossword, Phoenix Market City. 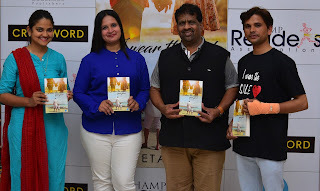 The novel is based on the tragic love story of Friendship, Love and Duty and is inspired by real-life instances of the male lead character in the book. Filmmaker and Social Activist Yuvraj Shah was present as the Chief Guest during the event. Published through Blue Rose Publishers, the book is now available online on Amazon, Flipkart, Shop Clues, Book Adda (Sapna Online), Blue Rose Publishers along with most of the major offline stores across India. Writing has always come naturally to Shweta and as per what she says, it’s in her genes. Her inspiration is her dad. She is currently working on her second upcoming novel. Having studied Computers as the main stream of education, she is a German language specialist and had been working in IT field since past 8 years. She has received many rewards and recognition for her contribution in her projects not only in India but also in Germany and Philippines. She is also a Reiki master teacher having hands on different modalities. 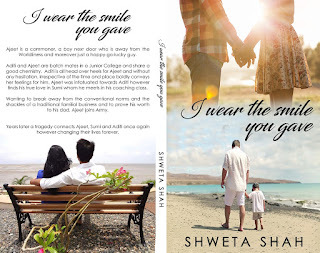 Talking about her book, Shweta Shah says, “My book ‘I Wear The Smile You Gave’ is inspired by real-life instances of the male character of the book. It is the struggle of Love and Friendship between the three characters. Ajeet is a commoner, a boy next door who is away from the Worldliness and moreover just a happy-go-lucky guy. Aditi and Ajeet are batch mates in a Junior College and share a good chemistry. Aditi is all head over heels for Ajeet and without any hesitation, irrespective of the time and place boldly conveys her feelings for him. Ajeet was infatuated towards Aditi however finds his true love in Sumi whom he meets in his coaching class. Wanting to break away from the conventional norms and the shackles of a traditional familial business and to prove his worth to his dad, Ajeet joins Army. Years later a tragedy connects Ajeet, Sumi and Aditi once again however changing their lives forever. The book now available online on Amazon, Flipkart, Shop Clues, Book Adda (Sapna Online) and Blue Rose Publishers is also available on most of the major offline stores across India. 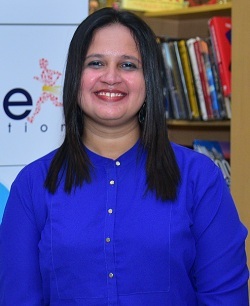 Having studied Computers as the main stream of education, Shweta Shah is a German language specialist and had been working in IT field since past 8 years. She has received many rewards and recognition for her contribution in her projects not only in India but also in Germany and Philippines. She is also a Reiki master teacher having hands on different modalities. Keeping the family as a priority, she is now an entrepreneur who is bold and decisive enough to run her business efficiently all by herself. Writing, traveling, reading and tennis are her subjects of interest. She has participated in 14, 10k marathons and aiming for a full marathon in coming months. She has currently launched her debut novel — I Wear the Smile You Gave, which is a romantic fiction. 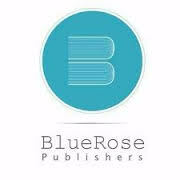 Published through blue Rose Publishers, the title of her novel was released on 20th September 2017.She is currently working on her second upcoming novel. 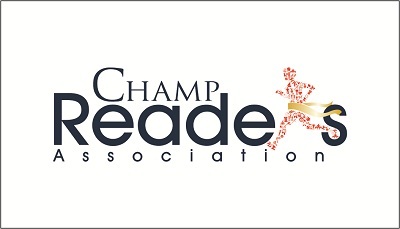 About Champ Reader’s Association (CRA): Champ Reader’s Association is a group dedicated towards promoting new authors/writers in India. Founded by Sagar Azad on July 2016, the group has been constantly working with budding entrepreneurs in the Literature industry to launch their work through Publishing Companies in India. 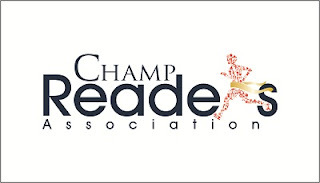 CRA organizes Book Launch events, Storytelling sessions, Creative Writing Workshops, Read it and Review It Programs(Online & Offline), Motivational Talk Shows in Schools and Colleges, Professional Communicational Workshops, Online Promotions, Partnerships, etc. 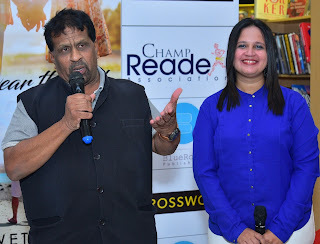 as a part of their Author’s Book Promotions.